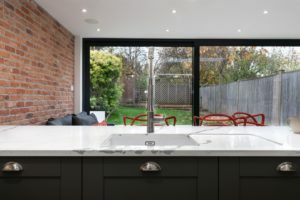 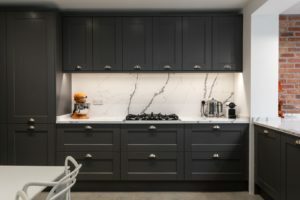 Our photographer went back to our client’s home in Guildford last week to photograph the finished project, and what beautiful photos they are. 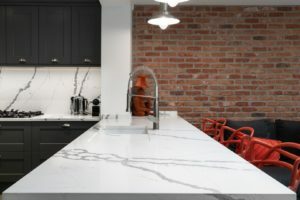 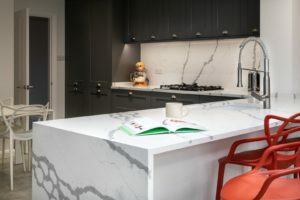 The Calacatta Statuario Spyder stands out in this kitchen space against the dark grey cabinetry and the photos have captured this perfectly. 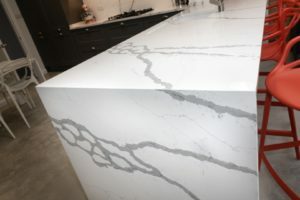 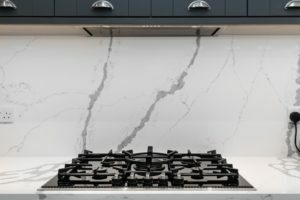 The stone is made up of a white background with prominent grey Calacutta veining that make the worktops a work of art. 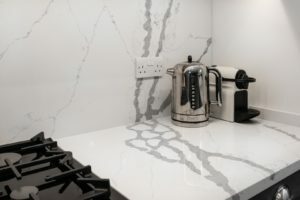 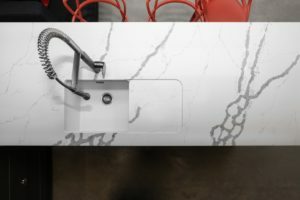 We have bookmatched the veins on the breakfast bar end panel and the full sized splashback to create a waterfall effect. 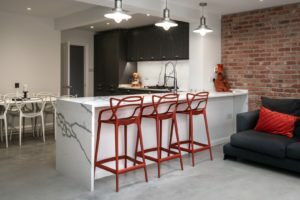 The kitchen is an open-plan space that features a large breakfast bar, with bold red stools that make a highlighted feature in this hub of the home. 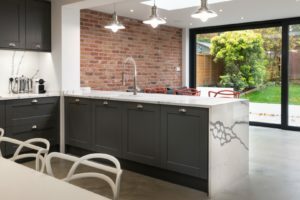 Brick work has been exposed to give an industrial feel, and we also machined in a recessed drainer which makes a change from drainer grooves.